Healite ll™ is a Medical Grade Skin Treatment, which is useful in combination with most skin treatments, for increased skin recovery (up to 40% sooner) and enhanced results. The therapeutic use of 830nm light boosts the skins’ cellular function, improving collagen and elastin production. The light is precisely concentrated and delivered, treating effectively without the possibility of physical trauma or thermal damage to the skin. A machine previously available only in Medical Practices (Dermatologist or Cosmetic Surgeon), the Healite II is most renowned for skin rejuvenation and skin tightening while decreasing deep lines and wrinkles through penetration of the skin into the deepest dermal layers. For best results, the Healite II is offered in packages, to support different treatments and outcomes. 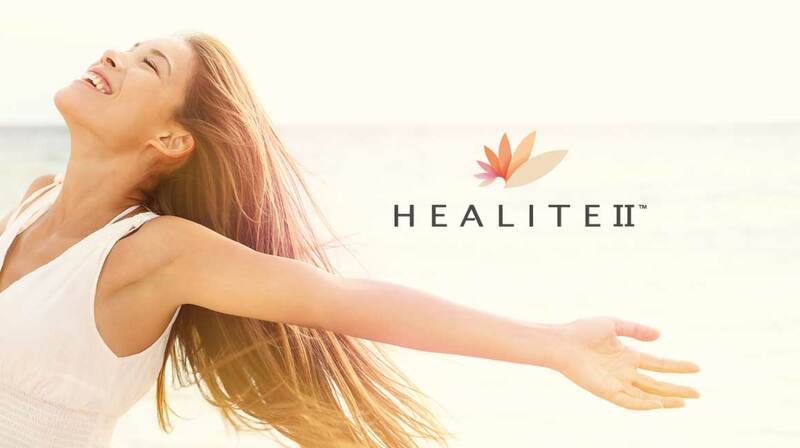 Healite II can be added to your treatments to enhance injectable outcomes and to take laser, microdermabrasion, chemical peels, IPL and other treatments to a whole new level. We recommend Healite II as a standalone treatment in a course or alongside another treatment to enhance results. This machine is suitable for use on the face, décolletage, back and other areas deemed appropriate. Book a FREE consulation today to integrate Healite II into your current skin program to enhance future results.